Posted May 11th, 2011 by admin & filed under Fun, Meetings, Members. Dave Morris, W5UP presented a great program Tuesday evening. He explained the beginnings of EQSL, how the system works, the computers and servers that the system is stored, etc. After the program, he offered discounts to the members on the Silver membership with EQSL. Dave also had EQSL hats for sale at a discount. 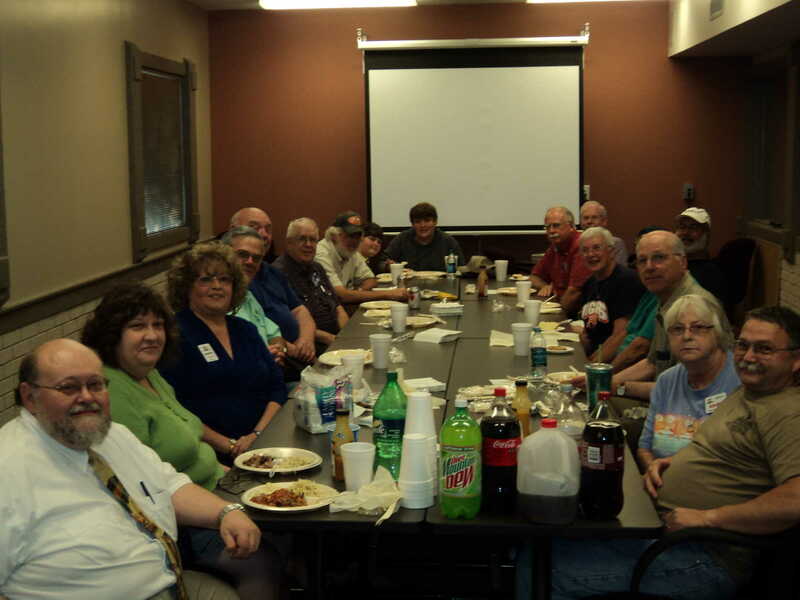 The barbecue supper before the meeting was delicious and everyone enjoyed themselves, many going back for seconds. We had more visitors than we had seats, which was great to see, but we had to scramble to find chairs for everyone. 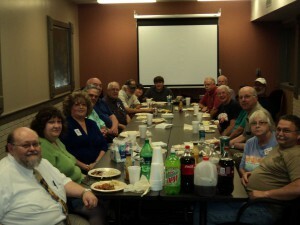 Lots of great ham radio talk and fellowship. It doesn’t get much better than that. Ken, AK4KN joined the club Tuesday evening. It is great to have you with us Ken. Nathan Hickman, NB4J also dropped by. Nathan was a member at one time, but school has taken most of his time lately. It was great to see him and hope he comes back soon. John, KC4RSN, a regular at our weekly breakfast at Sarah Jays also joined us. Great to see him at our meeting and hope he joins us often.